Teaching kids with ADD/ADHD is not simple. In addition, there seems to be very little imagination in educational strategies and curricula to help either. One would suspect this would not be the case given that it is the schools that often give the ADD/ADHD labels in the first place. 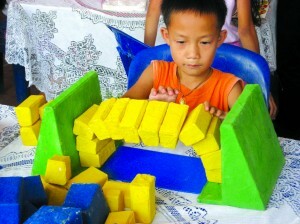 However, there has been little development of substantial creative techniques to try to help these students learn and behave better in the classroom. What is somewhat concerning about the inadequate amount of educational strategies in the ADD/ADHD field is that the opposite is the case for education in general. There are so many new learning styles, educational innovations and more that have spread to the field that it is quite disappointing next-to-none of this has spilled over into the more specific ADD/ADHD area. New, more open-minded approaches to education are gaining momentum across the globe. Southern England’s Summerhill School, for example, takes a more student-centered approach, involving the pupils in decisions and other teaching activities. School furniture can have a tremendous impact on a classroom. 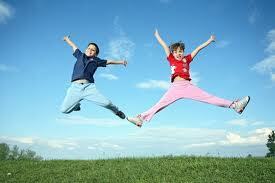 It influences the students and their moods, the teachers and other staff, as well as the general atmosphere in the room. It must be functional and aesthetically pleasing, providing children with a structure they can feel comfortable and confident in. Post by Active Learning Childcare. It can be challenging to keep a large classroom focused and engaged during class, and teachers today often turn to alternative teaching methods to meet the needs of their individual students. Some school curricula aren’t so flexible, however, and teachers are forced to come up with creative ways to keep the children motivated. Traditional classroom settings are often monotonous and boring, especially for young, energetic minds. Teachers often incorporate colorful decorations, bulletin boards and diagrams to keep students interested as well as to boost their creativity and enthusiasm. Some teachers even turn to less traditional furniture with the same goal. Standard school chairs provide children with a set structure, which can be important, but preschool and elementary teachers recognize the importance of creating a dynamic learning environment. 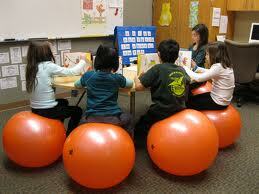 Exercise balls are a great way to keep children focused during class, as they demand attention and good posture. Mats laid out in a circle also create a different atmosphere, making children feel more relaxed and open in their environment. What alternative teaching methods have you tried? In today’s school system, many teachers utilize alternative teaching methods to help students who fall behind. In many cases, a child’s struggles have less to do with a learning disability, and more to do with the way in which the material is presented. Some children, for example, may have a hard time focusing while limited to a school environment and classroom furniture, and benefit greatly from a more hands-on, interactive approach to learning. 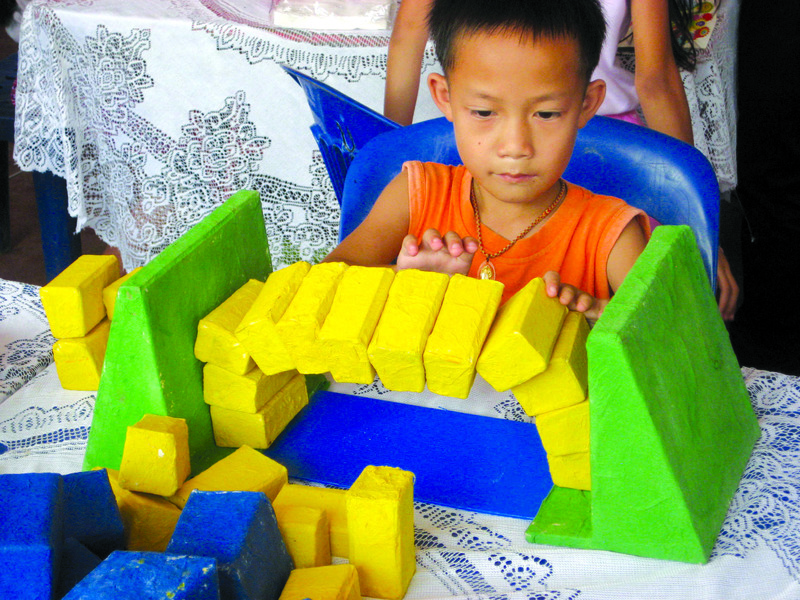 These children are more likely to engage in their studies and remember information when they are included in the learning process through field trips, experiments and art projects. A teacher should make an effort to identify the strengths of each student, and teach them accordingly. For example, if a child learns best with the help of visual aids, try to incorporate colorful drawings, charts and videos into your lesson.If a child expresses more interest in speaking, or audio information, try creating songs or rhymes to help him or her remember her lessons. Of you or a student become frustrated with a specific method, quickly try another. It is important to remain patient and flexible! In today’s world, more and more children are revealing unique strengths, interests and needs which challenge more traditional schools and their methods. While many schools try to boost interest and creativity through dynamic school desks and decor, alternative teaching methods can be more beneficial for certain students. MentalFloss.com explains each approach in detail. To learn more, visit this page. Indiana has an alternative education program which is designed to meet the needs of “at risk” students who are not succeeding in the traditional school system. The students are supported by government services and given several options to help maximize their chances of success. There are several unique programs available to Indian’s students, but they all share certain characteristics which are essential to success. One issue is that the students are not in a comfortable enough environment to begin with. If at least they had some level of adequate school furniture to work with, then things could be easier. But as things stand, this is often not the case. There are several types of alternative education available, some relying on school chairs, and some not as much. Those different types include alternative classrooms; school-within-a-school programming; separate alternative schools; and ‘last-chance’ schools for students who disrupt.